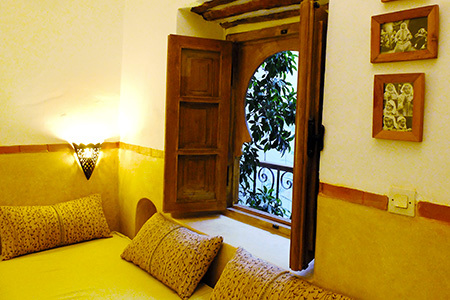 Our riad Dar Darek is a beautifully renovated typical Moroccan house. 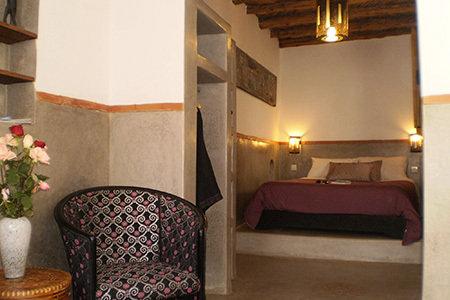 4 rooms are available, each of them fitted with its own bathroom and toilet and with very high quality beds. Its capacity is 8-9 people. 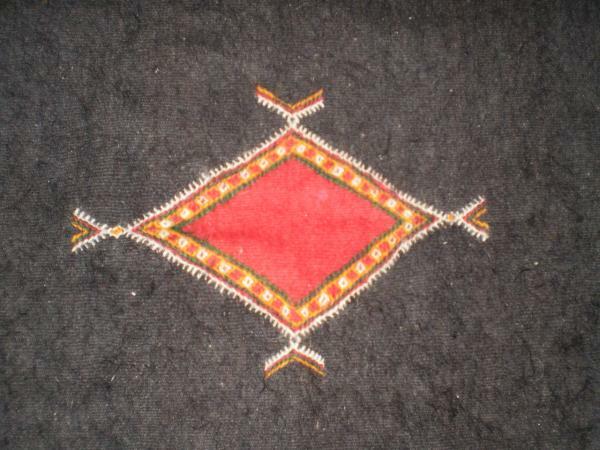 It is tastefully decorated with typical material and is very confortable. 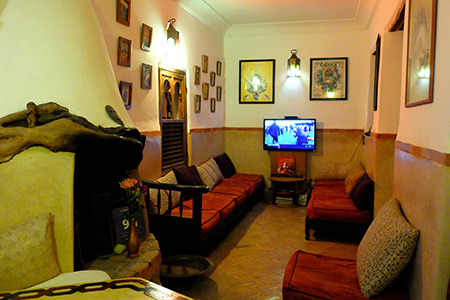 The riad is located at 5 minutes by foot from the beach and at 2 minutes from a watched car park. 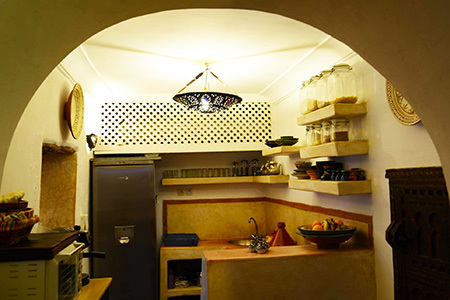 Daily housework, delicious breakfasts, bed linen and towels are included in the rental price. 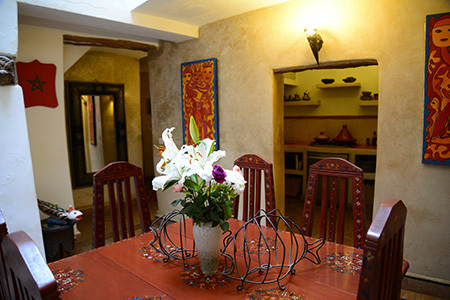 On the ground floor is the covered patio (traditional courtyard) with the dining table, the fully fitted and modern kitchen and lounge with big TV set. 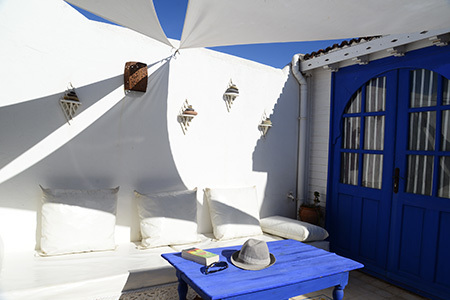 Free wifi is available in the whole house, from the patio to the roof terrace. 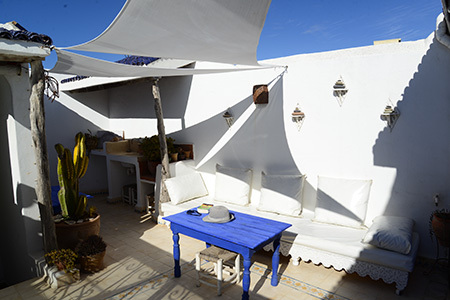 On the third floor is the roof terrace which is sheltered from the wind and very calm. You can enjoy the sun without being seen by anybody. Total area is 160 square meters. 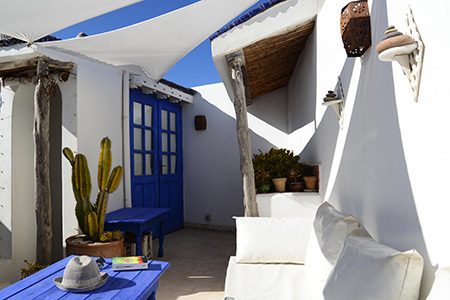 Dar Darek means in moroccan langage « home away from home », which also means that we offer guests a warm welcome and a high level of personal service. 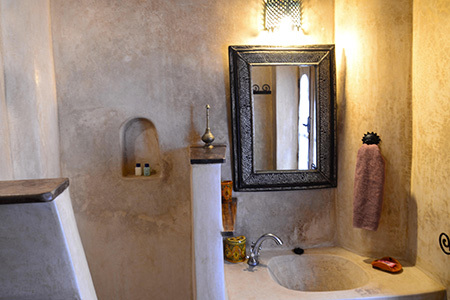 Take advantage of our housekeeper’s experience and enjoy an unforgettable stay by Dar Darek. 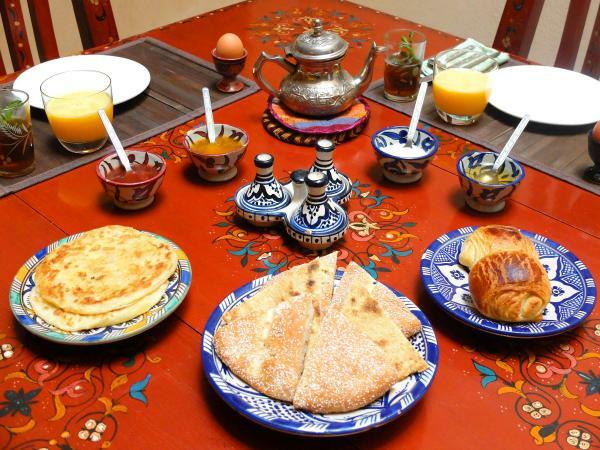 Kamar, will pick you up at your arrival in Essaouira and then will be at home every morning to do cleaning, prepare breakfasts and give you plenty of good tips. Moreover she can prepare delicious meals on request. Then just relax and let our wonderful housekeeper take very good care of you.